GMA 7’s Christmas Station ID 2015 Official theme song enters the iTunes Top 10 Most Downloaded Songs. 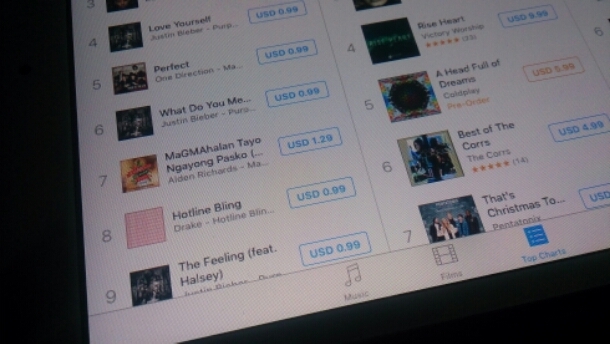 The track MaGMAhalanTayoNgayongPasko is currently at number 7 next to JB – What Do You Mean. It also surpassed other pop tunes like Ariana Grande Focus, Drake Hotline Bling, and Sam Smith Writings On The Wall.